Continuing to reign in top acts of electronic music, The Grand nightclub in Boston got a sweet taste of all things pure trance this past Monday, January 21st. Trance pioneer Markus Schulz paid Beantown a nice visit amidst the recent freezing snowy weather. Monday night in the historic city held a temperature of a whopping six degrees – but that certainly didn’t stop the Boston trance fam from showing up. As crews rolled into their tables one after another dressed in all kinds of fuzzy coats, the vast space quickly filled and the energy rose, despite the chilly tundra outside. Not wasting a single minute of his full-fledge two hour set, Markus kicked off his debut at The Grand with straight sonic heat. Renditions of The Wanted’s “Glad You Came,” Virtual Self’s “Ghost Voices,” and Ariana Grande’s “no tears left to cry,” set the pace for the night ahead on an unexpected yet pleasantly surprising note. Spanning a wide variety across the musical spectrum, all kinds of genres made their way into his set. From throwback rave classics like “Eat, Sleep, Rave, Repeat” to arguably the biggest house song of 2018 “Losing It” by Fisher, Markus put his ever-atmospheric twist on each and every record mixed into the performance. Surely, the audience got their fill of signature Markus soundscapes with original tracks like “Destiny,” as well as top contenders from his recent album We Are The Light including “The Dreamers,” “We Are The Light,” and “Together.” There’s nothing like when that hard rolling trance beat bursts through the speakers and shakes the dancefloor, coursing throughout your body. Markus laced his stuttering basslines exquisitely throughout his two hours, and kept the club on their toes into the afterhours. Including a plethora of popular anthems from One Republic’s “Apologize,” to Coldplay’s “Paradise,” to Marshmello’s “Happier,” Markus dished out a little something for everyone to enjoy. Part of Big Night Entertainment Group (BNEG,) The Grand is a venue that transcends traditional nightlife. Offering plush decor, gold accents, a grandiose glass staircase, and a custom kinetic lighting system and LED wall, this ritzy nightclub is a must-attend in Boston. The luxurious space provides the ideal groundwork for the top-notch artists that come through its doors each week. Boston’s newest nightclub has dominated the city’s electronic scene, pulling in all kinds of industry talent, and 2019 is gearing up to be its most prosperous year yet. 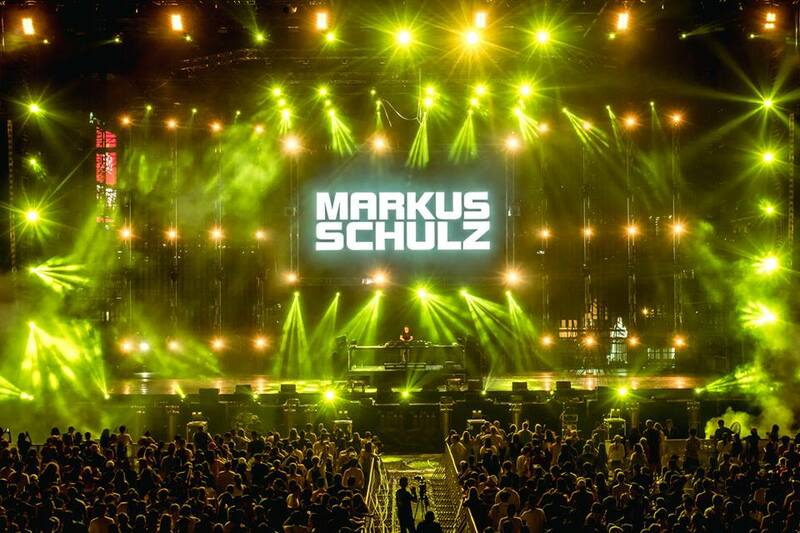 Photo Credit: Rebel / Markus Schulz Facebook.